2017 has been another very successful year for our Year 13 students with a 98 % pass rate at A Level as well as in a range of other courses available at the school in the Sixth Form. 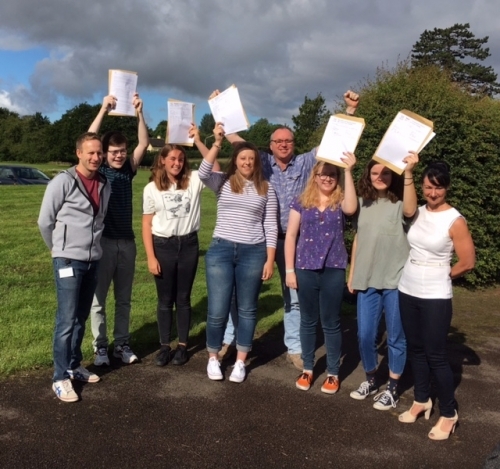 It is particularly encouraging that we have seen an increase of 5% points in our A*-C Pass rate. We are very pleased with all our students performing well against targets based on their prior attainment. 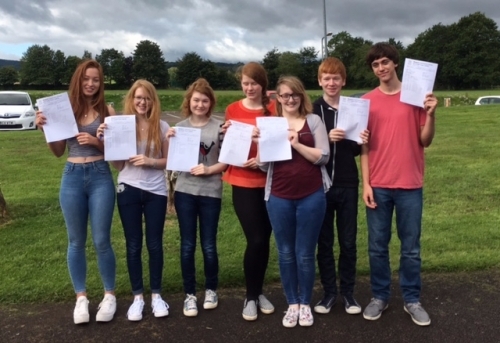 Eliza Taylor is to be congratulated on a set of outstanding results, she achieved A*AAB. In addition Conor Nolan achieved AAAB and will be going to study at Loughborough University. Sophia Von-Tiedemann did remarkably well in 5 subjects with English as her second language; she achieved an incredible A*ACCC and is going to Birmingham University to study Nuclear Engineering. Guy Prosser is heading to Westminster to study Film having achieved impressive results A*A*C. Chloe Cullen achieved AAB and has taken up a place at Manchester University to study Biology. Other very successful students include Ellie Hathaway who will study Psychology at Swansea University after securing A*BB. Rebecca Miller achieved ABBB in her 4 subjects and will go on to study Drama and German at the University of Kent. Charlotte Hayward will be studying Bio-Chemistry at Nottingham Trent University after achieving her impressive her ABCC grades. In addition Cerys Barber and Joe Tibbles both achieved ABC grades and will also be going to University to further their studies. There are many other individual success stories, too many to mention them all. Emma Jones is one of a growing number of students taking up apprenticeships; she has secured a fantastic opportunity in the Pharmacy department at Higham Surgery. Students entering employment include Alanna Bee who is now working within the NHS as an Administration Officer at Gloucester Royal Hospital. It has been a great year and needless to say we are very proud of our all of our students, and we wish them every success as they embark on the next chapter of their lives. We are looking forward to welcoming our new Sixth Form students in September who are set to benefit from our exciting new Sixth Form building. We are happy to accept late applications for September 2017.